Since illustrating full time, I’ve become even more acutely aware of how colour can make or break a piece of artwork. In fact, research shows that colour influences our choices and perceptions when it comes to brands, products and our senses, among many others. 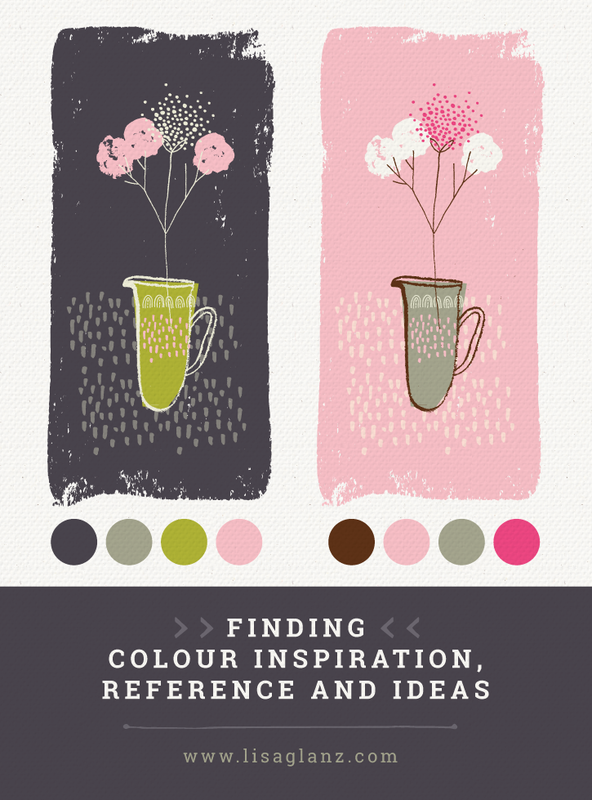 These are my go-to resources I use for colour inspiration. Nature! I often use nature as reference when it comes to particular hues and shades of colours that go well together. Next time you’re walking in your garden notice how that particular hue of green on a leaf is just the right shade for it’s purple flower. It’s amazing stuff! Your own work. I know that sounds weird, but sometimes when I’m stuck I look back at my previous work and often come across a colour combo I’ve forgotten about that I loved. If it worked back then, it might be perfect for the piece you’re working on now. Top tip! I created an Adobe Illustrator file a few years back and started adding swatches and colour combos I really love. I now use it as a starting point to all my illustrations. For variations I simply tweak or add one or two new colours as I go. These are all great tools and references for creating palettes or finding the breakdown/code of the colour you’re after. I hope you found this list useful! I highly recommend starting your own go-to colour reference document, it’s a huge time saver. 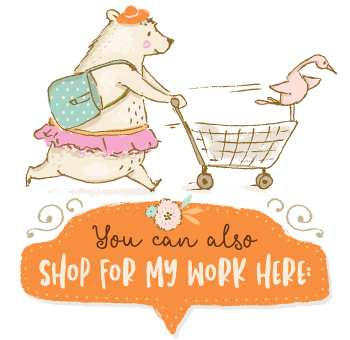 Thank you Lisa, I love the idea of an illustrator file for reference! I’m going to try it. This is really great information! 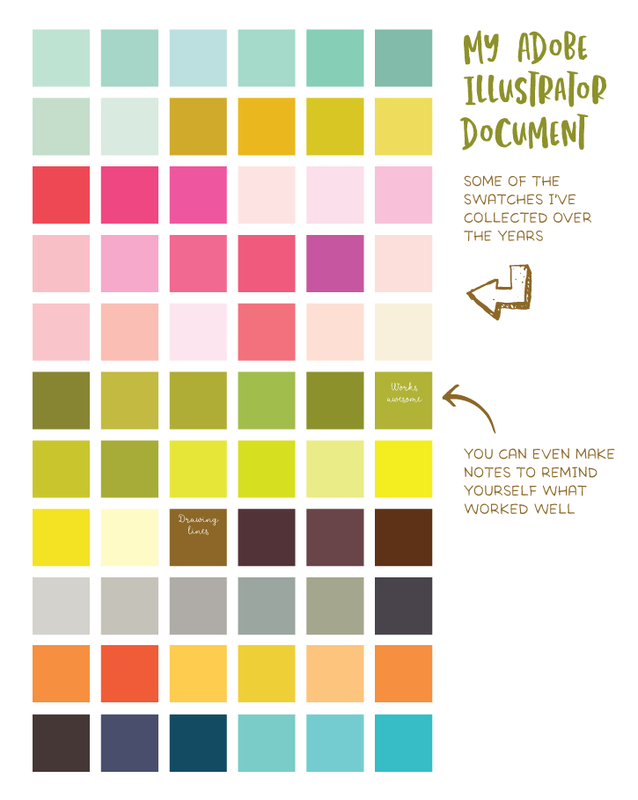 You definitely have a certain color palette that is recognizable and I think that really helps your work stand out! I would say overall your color choices are usually softer with some gray in them. Thanks for sharing your process! Thank you so much Bethany. So happy to hear you found this useful 🙂 Finding a signature colour can make your illustration experience less stressful, it’s helped me focus on the drawing rather than hours of fretting over colour! Definitely making a swatch file in illustrator. Love that! 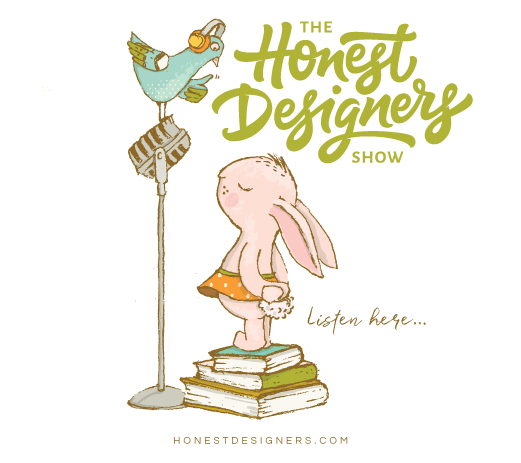 Hi Lisa, I just watched your Skillshare class and loved it, thank you! That linked me to this story, thanks so much! Colour is the thing I have the most trouble deciding on when I’m creating and this is a HUGE help. I really appreciate your generous sharing.